Okay, this dead Jinzi is different from the Jinzi that's trying to take all the time power right? I guess there are worse ways to go than getting sucked dry by a pretty lady. I went over this with Sandman in a PM so here's the revised the history of a King name Zerxes . there once was a king name Zerxes who was the ruler of a vast magic kingdom that he name after himself on a Desert planet that had a Pharaoh theme. Zerxes was a powerful magic user and yet he knew that not even his magic could save him from death's grasp. he fear dying and when he got to a ripped old age he wanted to find a way to prolong his life a way to make himself immortal. he search though book after magical book trying to unlock the secret to immortality. Until in one book he found the passage about ancient mural inside a tomb devote to a ancient powerful being that possibly knew the secret to immortality. Zerxes deiced to visit this ancient Mural inside this Tomb and speak to this ancient powerful entity. Zerxes did a ritual that was describe in the magic book that mention the mural contact this ancient being. it spoke to him and told him that it's name was Nyarlathotep. Zerxes then ask Nyarlathotep to grant him the knowledge of immorality. sense the selfishness and greed in Zerxes heart . 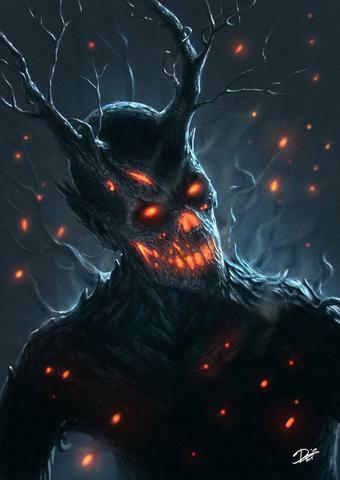 Nyarlathotep manipulate Zerxes twisted the King into a demonic entity. after Nyarlathotep show the Zerxes a way to become immortal he would slip some of his power to the Zerxes. Zerxes would then introduce his kingdom and his subjects to Alchemy. Zerxes would end up tricking his own subjects into create a magical symbol that would grant him immortality. Zerxes had sacrifice his entire Kingdom for immorality. after he became immortal many years later after the fall of his own Kingdom Zerxes introduced alchemy to another Kingdom with Arabic theme and trick them into sacrifice itself into making him a homunculus as part of an consistency plan by promising them immortality. this Kingdom's name was Omestris. he knew a day would come when his fun would end, and he was eventually right when he was sealed away by a banded of Seven Holy Knights ( a Toadian, a Yardrat , a Tuffle , A Titan , Konatsian , a Namekian , and a Human 30,000 years ago on Qacriea with powerful sealing magic. 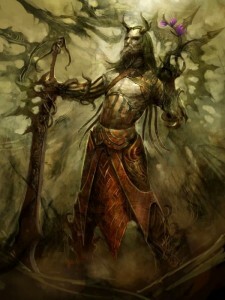 as for his race the name of Zerxes' race was Aos Sí. Last edited by bruceleegreyhulk; 03-10-2019 at 08:12 PM. CrawlingChaos360: Due your omnipotent go look yourself. Last edited by bruceleegreyhulk; 01-07-2019 at 08:57 PM. I saw your post to Cyanna. As soon as I am awake enough and have had more time to think on it, I'll post a response. It make take a few hours. Hey all, so while my dad is recovering from surgery, my posting will be sporadic at best. I plan to catch up later tonight while he's sleeping (sssshhh!). I'm happy to report that he's adorable when he's hopped up on medication. Wishing your pops a safe recovery, Cyke. Do not give her your materia. How incompetent were the mages who made this barrier ? My question is, is Alt-Etrina willingly staying behind the barrier? I have a feeling she probably could have escaped at any time. She wanted to be alone and eat I-scream to mourn. The poster formerly known as Daiyoukai Ramza.